A chance to build the bike of your dreams - just add groupset, bars, deep wheels of choice and voila you have something special! Climbs, corners, flat-out sprints—the Allez Sprint does it all. 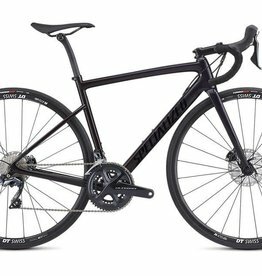 Being the most advanced alloy road bike we've ever made, the Allez Sprint is capable as a crit-racing weapon or an everyday road steed. But even better, it performs all of the above at a price that's affordable for any racer's budget. At the heart of the Allez Sprint is our D'Aluisio Smartweld Technology, which strategically places more welding material where it's needed, resulting in an aluminum bike that's more compliant and considerably stiffer. How stiff, exactly? It's the stiffest alloy bike we've ever tested, let alone made. Drawing inspiration from the Rider-First Engineered™ Tarmac, this frame also has a unique down tube, bottom bracket shell, and head tube, plus fork sizes that correspond to frame size. This ensures uniform performance across the entire size run.